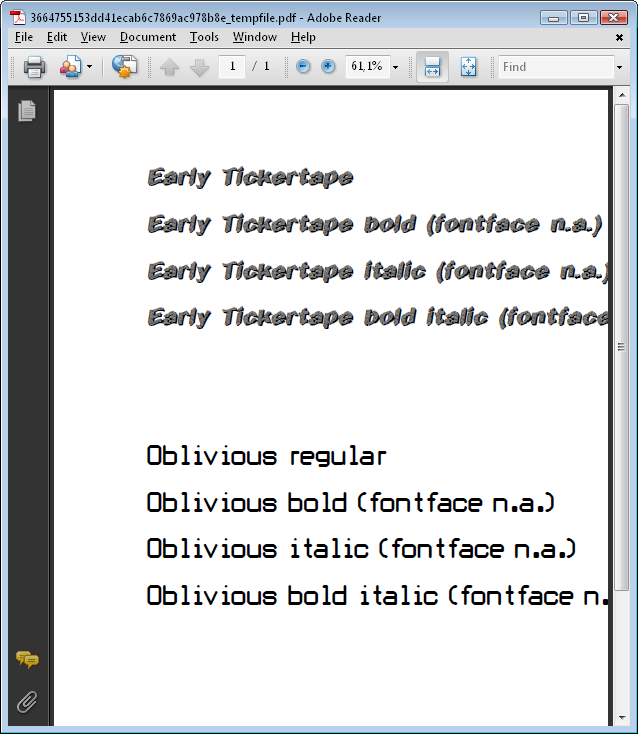 This sample shows how to use fonts that are not installed with Windows. Note: XPrivateFontCollection is no longer supported and no longer recommended. This sample is outdated. Use the IFontResolver interface. Applications that use PDFsharp or MigraDoc 1.50 beta 3b or newer should use the IFontResolver interface.